Boumerdes (Algeria), August 5, 2018 (SPS) - President of the Sahrawi Arab Democratic Republic (SADR), Brahim Ghali on Saturday in Boumerdes (50 km east of Algiers) called for the end of the Moroccan occupation in Western Sahara," affirming "his full readiness to cooperate" with the UN Secretary-General and his personal envoy in a view to completing Western Sahara decolonization process. Ghali also voiced his satisfaction with the "successive, direct and clear rulings of the CJEU, which have reinforced a series of decisions and recommendations issued by the UN and the AU that confirm that SADR and Morocco are two separate countries and that no agreement with Morocco can include Western Sahara territory and its territorial waters." 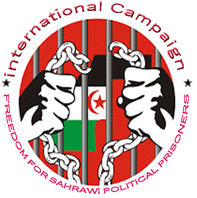 "The ECJ rulings clearly confirm that such practice constitutes a blatant violation of the exercise of the right to self-determination," stressed the Sharawi President, denouncing "the attempts of certain parties within the European Union (EU) to circumvent these decisions," which represents, according to Ghali, infringement of the European law, international law and international human rights law (IHL)."